Mosquitoes can be sneaky with their bites: Sometimes we don’t even feel it or see it when they bite us. Why we can’t notice it earlier? Ending up with your legs and arms full of itchy mosquito bite marks can end your day in a pretty bad way. It certainly does make that late evening in your backyard porch a lot less fun. And when that mosquito bite shows up, it’s already too late: The damage has been done. Chances are high you just got stung by a mosquito, without you ever knowing they were there. Not a buzz, not a bump, not even the slightest hint has made you aware of their actions. It’s a common occurrence, one that doesn’t only happens when you sleep, but also when you’re awake and alert. It makes you wonder why those little blood-suckers are the sneaky ninja’s that they are. Why Can’t We Feel Mosquitoes When They Bite Us? 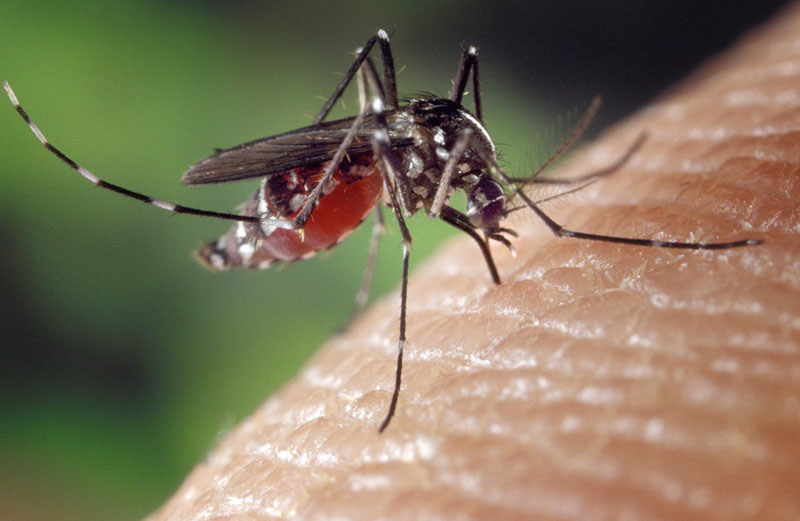 Mosquitoes have surprisingly small mouthparts, making it hard to feel them when they bite us. We also can’t feel the legs, due to the low weight and small leg surface area touching the bitten subject. 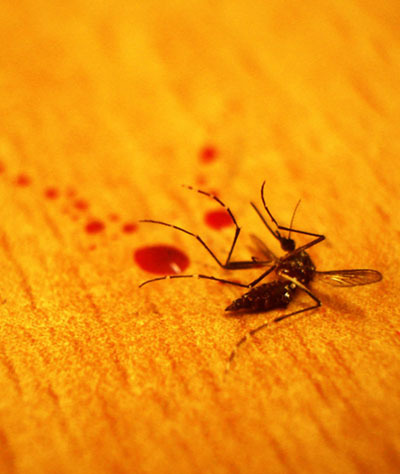 After the bite, the mosquito’s saliva will cause an itch, which is the moment people will feel the bite. It must also be noted that for humans, the sensitivity of the skin is a major factor in feeling if a mosquito is biting you. Some parts of the skin in a human body have more nerve endings, which makes them more susceptible to noticing a possible insect bite. If you’d be bitten in your hands, on your lips, or (due to some freak of nature) on your tongue, you’ll notice it straight away. The “Sensory Homunculus”: Larger = More sensitive to mosquito bites. The reason why we can’t see mosquitoes when they bite us, is similar to the question of why we can’t feel them biting. If you are unable to feel them on your body during a bite, you will also have a hard time catching one red-handed. Furthermore, mosquitoes are nocturnal creatures, making them harder to spot at night or in the evening. If you want to make sense of why insect bites happen unnoticed, you’ll going to need to look into the actual blood-sucking and biting itself. Let’s take a look at that in more detail. The proboscis is retracted when she is full, the saliva causes the itchy bite. How Long Till Mosquito Bites Show Up? After a mosquito bite, the itchy red bump might not show up immediately, but can also show up days later. If can take up until 48 hours for the mosquito bite to develop. A person can become desensitized to mosquito bites (making red bumps show up less) after being bitten more. Children will have a more severe reaction to bites than adults. After scratching, possibly a painful skin. The swelling will gradually increase over 24 hours, from a flat red skin towards a clearly visible bump. It can take up to 4 days for a bump to completely go away and the itch will reduce gradually over time. So what you are feeling right now, will most likely be the worst part of the process and you will quickly recover from it. It can help to cover the itchy bump with special blister band-aids such as these, which work wonders on the skin. They will help avoid further skin damage while allowing the skin to recover quickly. It might seem a little odd, but you will notice that it can help out a lot. Now, you certainly want to avoid getting bitten again, so it’s good to know what happens to a mosquito after it will bite you. Do they just fly away, do they look for another victim, or does something even worse happen to them? It’s one of the more common questions I get from people so I’d like to ask the question here as well. Do Mosquitoes Die After They Bite You? Female mosquitoes bite people to lay eggs, so they would certainly try to survive the period after they bite you. If they die, so does their offspring. The female can survive up to three weeks, looking for opportunities to lay eggs. It lays them daily in multiple clutches of roughly 100 eggs each. When a mosquito is indoors, it is more likely to die soon after biting you, because it will not have proper nutrition to keep it going. It’s also more likely it will never find a suitable place to lay eggs, which mosquitoes usually do in aquatic locations (such as a pond or puddle). As long as water isn’t flowing regularly, it’s a good nesting place for insects. So if you have such locations in your house, perhaps reconsider removing them all together, especially during the summer months where mosquitoes are at their most active. Nevertheless, the constant temperature indoors can cause mosquitoes to live indoors throughout the year, making it possible for you to find them later on in the year as well. Cold makes them die sooner, after all. After a bite, a female will be less likely to bite you again (since it is full of blood and can only take so much of that stuff with it). Therefore, you don’t need to fear them as much after being bitten. But please beware they can be back for more very quickly (i.e. the following night), when they are able to dispose of the human blood in their body pouch. Take an antihistamine: These cheap pills with anti-allergenic properties help against any insect bite quickly. Obviously, there are many more solutions to the problem. Prevention plays a bit role in this as well: If you don’t get bitten, you do not need to treat your skin! I’ve compiled all solutions (both prevention and after-care) on this useful review page. Everything is hand-picked and sorted by category, so it makes it easy for you to pick and choose your preferred method. All of the solutions on that blog page work, they’re battle-tested by me personally! It sure can be a struggle to fight against tiny blood-sucking ninjas sometimes. I’ve been there myself: Believe me, living in a swamp does nót help against fighting insects at all. But regardless of your location, it will be likely you’ll find yourself with a mosquito in your room one day. All I can say to this is: Close your door and hunt them down! If you’re struggling with the hunting process, the products listed on the review page mentioned before will certainly help you out a lot (here it is). I always refer my visitors there, because it’s where I do all my reviews and tests in many different categories. Indoor mosquitoes, outdoor mosquitoes, none of them are a match against my battle-tested insect repellant picks. If you have any questions about it, feel free to use the comment section below this article.